Interested in seeing who's got guns WWII era guns on here. Here's mine, still adding more and more. GSG StG 44 chambered in .22 LR. Auto Ordnance M1A1 Carbine on top, my two M1 Garands in the middle and bottom. Middle is an import from Century Arms, bottom is a Springfield Armory manufactured in August of 1942. Laying down some lead with one of my M1s. 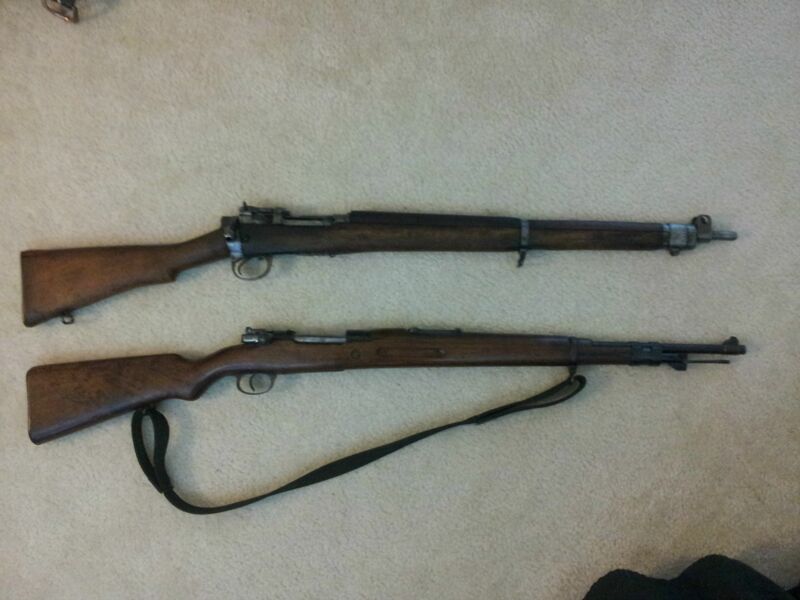 A Type 99 Arisaka that I sold to a friend of mine a few years back. On top is a Lee Enfield No. 4 Mk. I Jungle Carbine that I sold to a friend of mine back in 2013 above one of my M1 Garands. And a bonus, me firing an SVT-40. A gentleman at the range had several WWII firearms and noticed I had an M1 Garand. He asked if I wanted to try out the SVT. Photo answers that question.